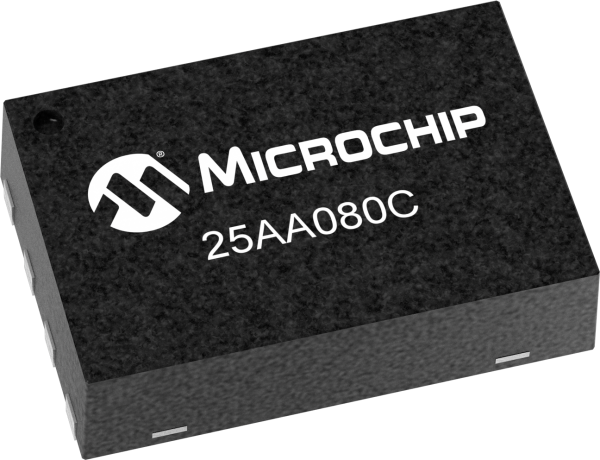 The Microchip 25AA080C is a 8 Kb Serial EEPROM utilizing the industry standard Serial Peripheral Interface (SPI) compatible serial bus. The device is organized as one block of 1024 x 8-bit and is optimized for use in consumer electronics, industrial, medical, and automotive applications where reliable and dependable nonvolatile memory storage is essential. Software write protection allows the user to protect ¼, ½, or the entire memory array. A hardware write protect pin is also provided, which additionally protects against inadvertent writes to the status register. The EEPROM is available in a variety of space-saving packaging options.